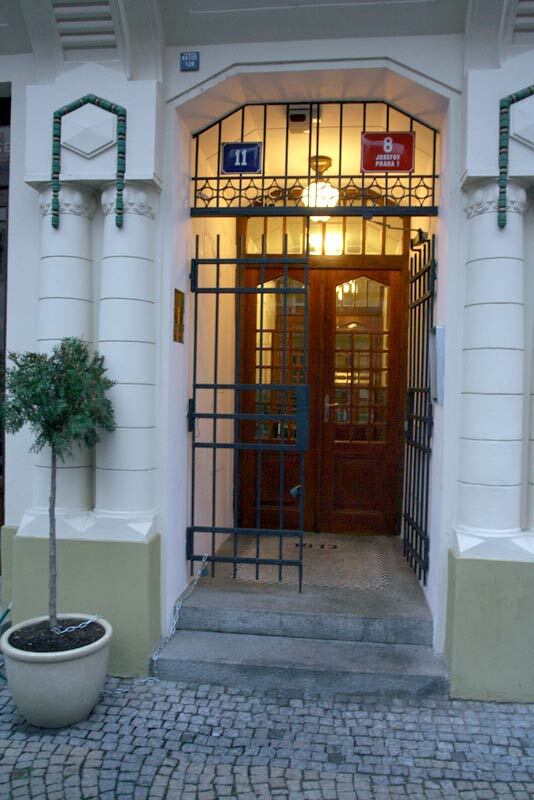 Apartments Prague City Centre is a gem in the heart of Prague, providing excellent accommodation facilities highly favoured by our clientele. 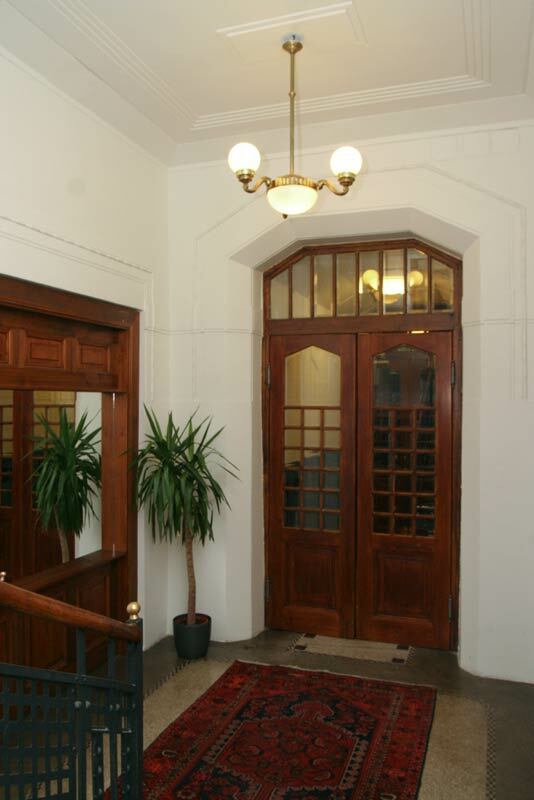 The apartments are located in a fascinating Art Nouveau house which was built in 1913, and recently fully refurbished under the supervision of heritage preservation experts to be re-opened in 2003. It is considered as one of the most beautiful houses in Prague due to its pure Art Nouveau architecture. 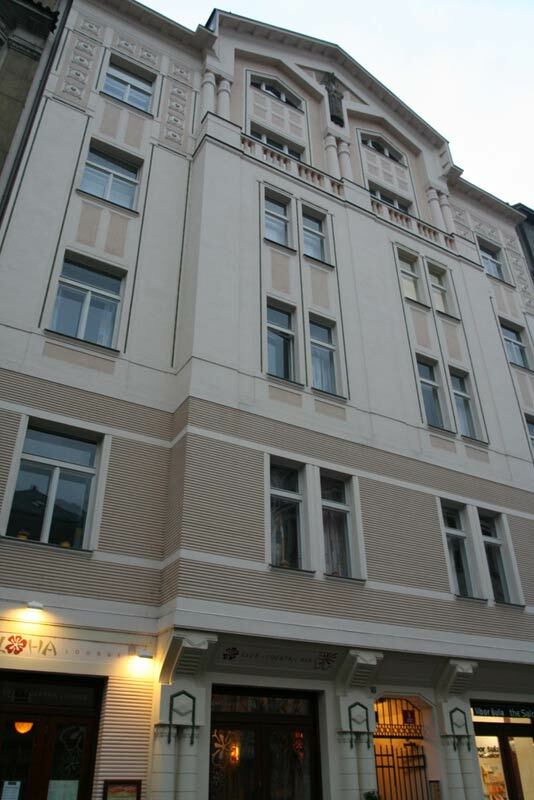 It is located in a quiet street in the heart of Prague's Old Town, right opposite the world-famous Spanish Synagogue, which can be seen from the windows of some of the apartments. At the same time, it is just 70 metres away from the Old Town's busiest streets, the Paris Street, and some 200 metres from the Old Town Square. All of the most popular sights in Prague, such as the Charles Bridge, Wenceslas Square and the Lesser Town, are within walking distance. Parking is available in underground garages 200 meters far away from the residence.